Darren is your local Penrith Building Inspector. 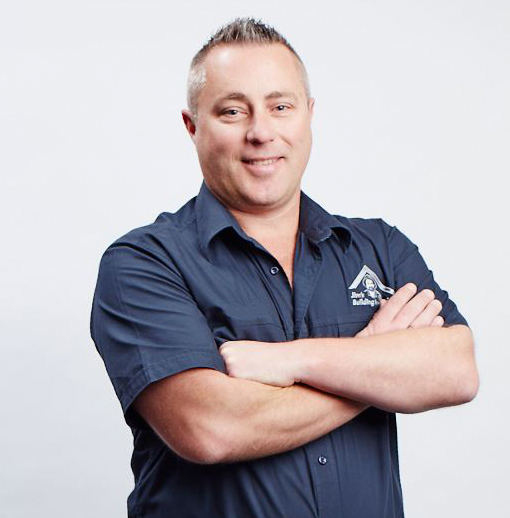 Darren grew up in the hills district of Sydney and has worked in the construction industry for 29 years, initially in the residential industry with a carpenter-joiner trade certificate. Darren started his apprenticeship within a construction company that had a joinery shop, where he developed his eye for detail. After completing the Building Certificate IV, he then moved to a larger market, supervising high-end residential works on Sydney’s Northern Beaches. Darren continued to develop his management skills and was eager to broaden his knowledge by moving into the commercial & medium density residential construction market, where he worked on award winning projects as a General Foreman and Site Manager for major construction companies. Darren lives at the foot of the mountains where, for the past 4 years, Darren has successfully run and managed small building company ‘Access Housing’, based in Western Sydney, which is focused in the residential market. Darren was looking for a change from the high pressure and long hours of being a builder when he found Jim’s Building Inspections would be perfect to utilize his strong technical and management skills and allow him the flexibility for family life. “Jim’s is a quality structured group, with a great deal of expertize and support, which is why I decided to become a franchisee”. Darren enjoys soccer, motorsport, motorbike riding and relaxing at the beach.